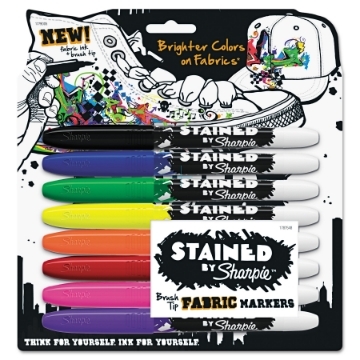 This set includes 4 high quality fabric markers per pack black, blue, red, and green. 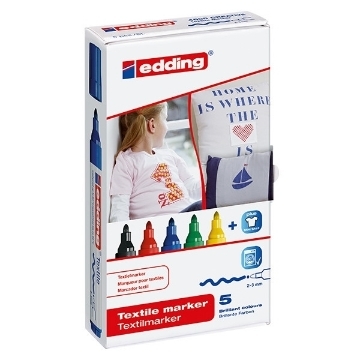 This set includes 8 high quality fabric markers Black, Blue, Green, Yellow, Orange, Red, Pink and Purple. 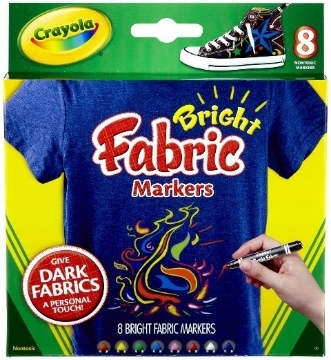  This product is recommended for age seven and older.